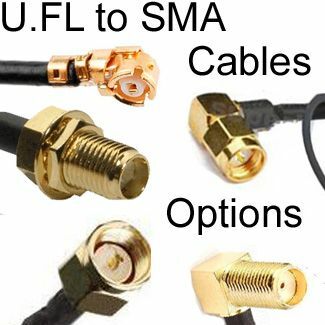 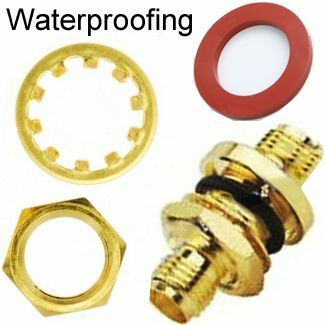 SMA male Right Angle To U.FL Cable: 1.4-inch, 3", 4", 6", 8", 10", 12", 15", 32"
SMA male inside diameter is 5/16"
Our UFL to RP-SMA series coaxial cables have medium-sized, threaded coupling connectors designed for use from DC to 11 GHz. 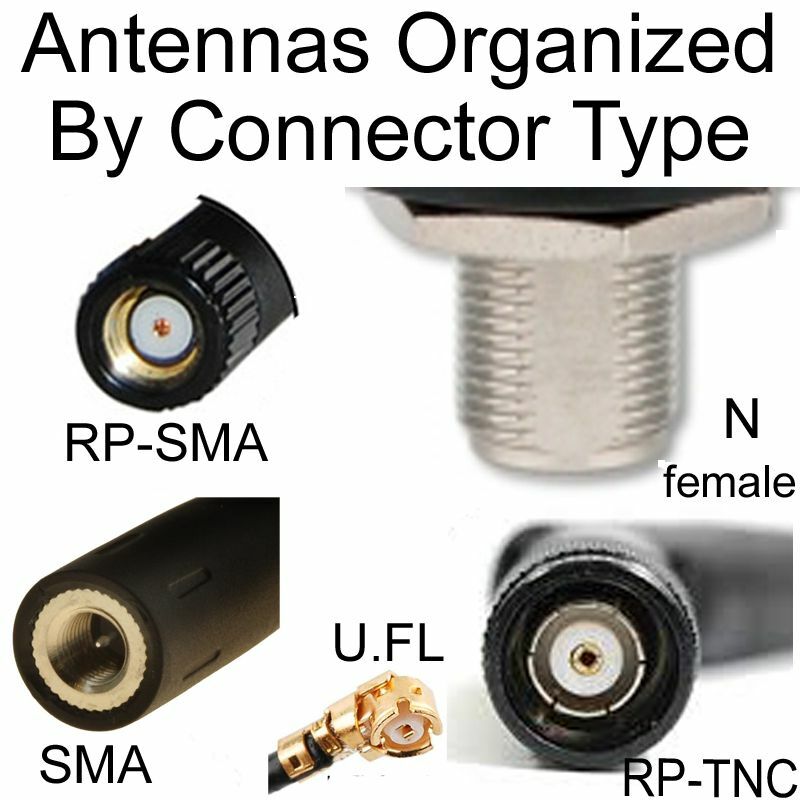 Their consistently low broadband VSWR have made them popular over the years in many applications. 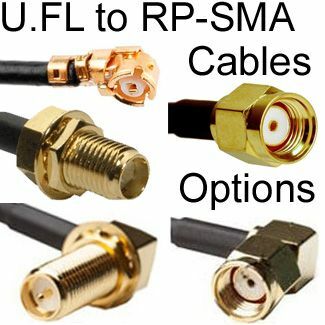 The UFL to RP-SMA series pigtail is impedance matched to 50 ohm cables. 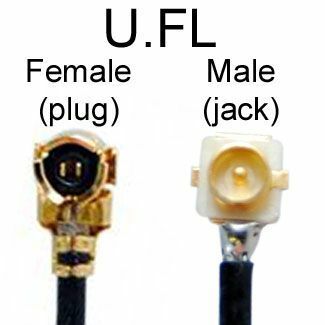 U.FL female right-angle connector mates with U.FL jack/cable-connector U.FL-LP-66, found on mini-PCI wireless cards such as: Intel PRO, MikroTik, Ubiquiti, and ZigBee radios such as XBee: This pigtail enables connection of an external antenna to a mini-PCI wireless card with a female HiRose/U.FL connector U.FL-LP-66 connector. 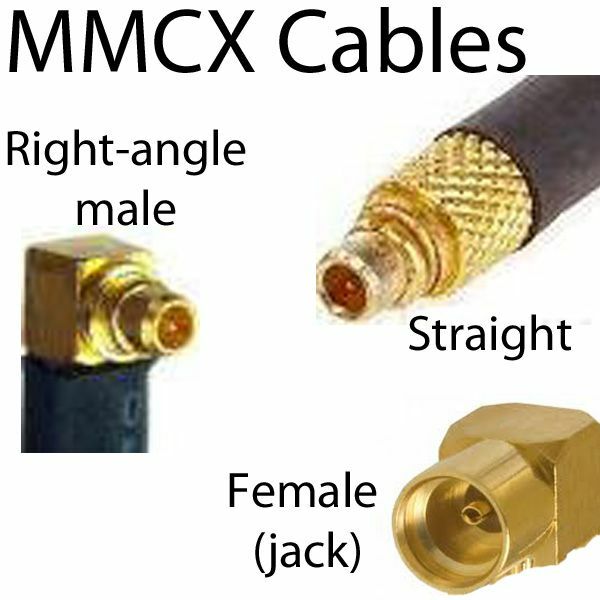 Cable is very flexible coax with black jacket. 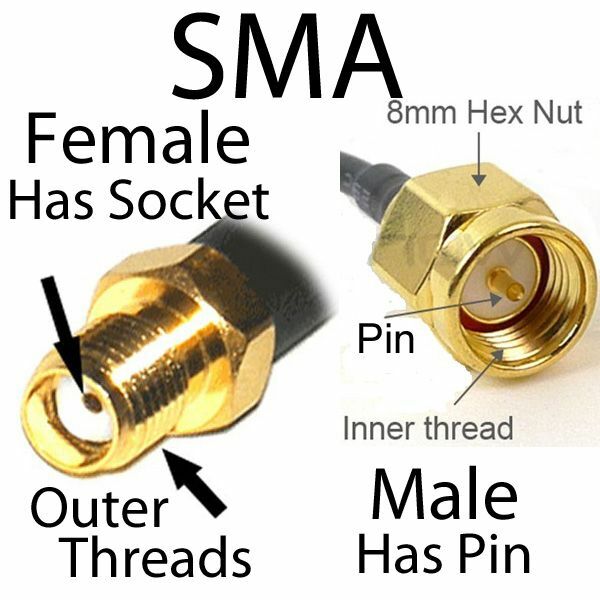 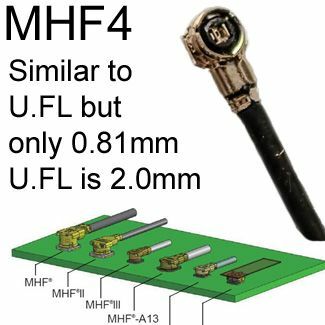 Please see this note about options for thickness of the coax, and note that we can make special orders with double-shielded LMR-100-equivalent coax, if you wish.